Before I got pregnant, I had quite an active lifestyle. I worked nights in a takeaway shop so I was used to being on my feet for hours on end. I loved going for long walks and hitting the gym for a workout. One thing I have struggled with in this pregnancy is having to make changes to my lifestyle. The many mile walks I used to do without even thinking about it now make me tired and achy. I've had to ditch the workouts because it is frustrating not being able to push myself as much as I'd like to. I'm sure I am not the first pregnant woman itching to get back on her feet. 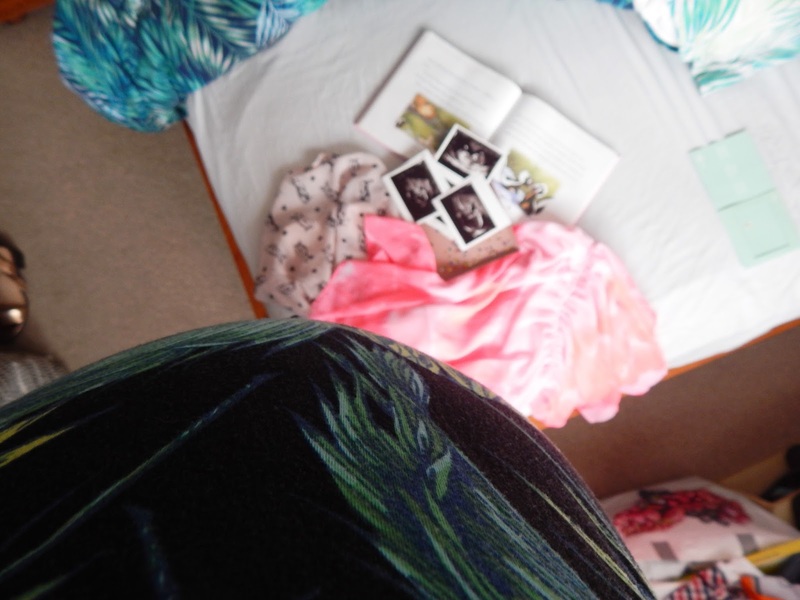 Maternity leave is great and I realise that I am very lucky that I live in a country that will pay for me to rest up towards the end of my pregnancy but it gets very boring very quickly if you are used to constantly running about doing thing. There is only so much Netflix a girl can watch. So, I decided to write up a little list of things that I have been doing to occupy my time whilst on maternity leave. I can almost feel the bubbles of the jacuzzi at the finish line of this pregnancy. Hot tubs and saunas are calling my name. There's nothing quite as luxurious as a spa day. Unfortunately, pregnancy means that I have to avoid hot tubs and steam rooms and everything that is good and pure in the world. So, an at-home spa day is the next best thing. I like to rope in my little sister (or my husband) when they're around and spend the day painting each other's nails, trying out new facemasks, and then relaxing in a bubble bath with a Lush bath bomb. One thing I have really gotten into lately is cooking - especially baking. As it starts to get a bit colder, I love trying my hand at some typical autumn dishes. Nothing beats a bubbling dish of macaroni cheese straight from the oven or a pot of sausage casserole. Baking is even better because it ends with a big cake. 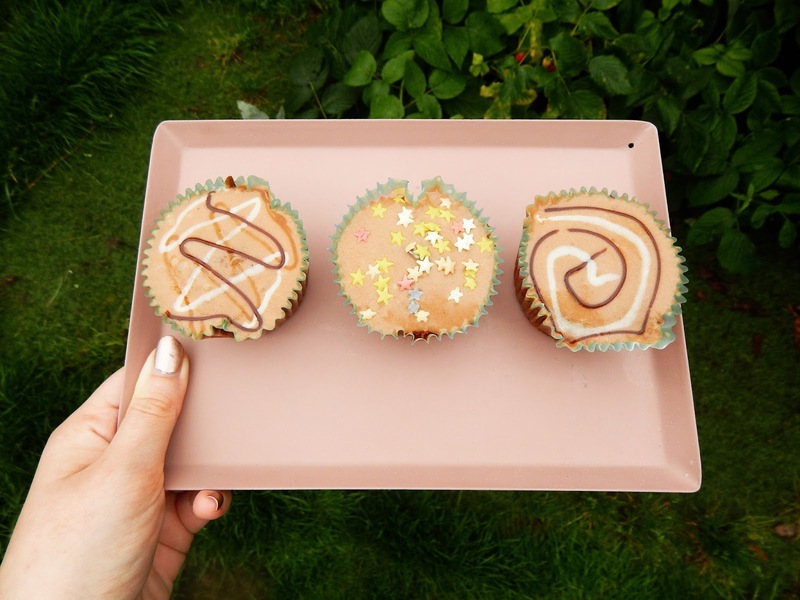 I have recently made chocolate orange muffins which were delicious and I am going to attempt a ginger loaf cake today. When I was younger, I was crazy about books. I'd be get my dad to drive me to the local town to pick up the latest Jacqueline Wilson book on its release date and I had finished it by that evening. My passion for reading led me to do an English Literature degree. However, my three years as a student were filled with reading books I was assigned rather than books I was actually interested in. So, now that I am an aged graduate with a lot of free time, I am able to read whatever I choose. 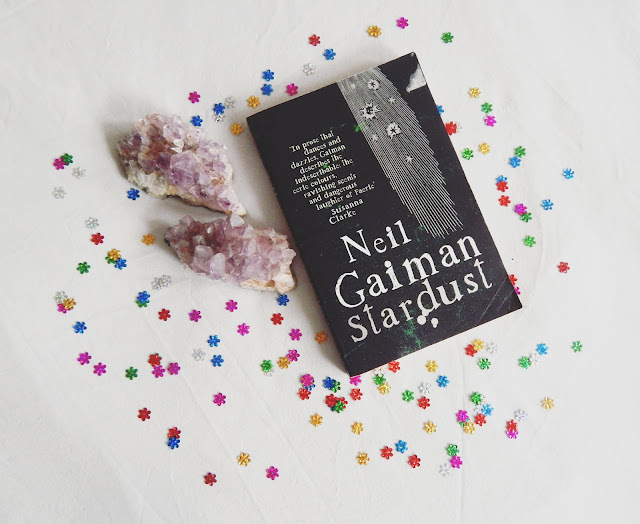 I'm currently on Stardust by Neil Gaiman. Maternity leave is a great time to pretend you're a full time blogger and focus on upping your blog and social media game. I have been putting a lot more effort into my Instagram lately and you can't get me off of Twitter. I also plan to schedule a lot of posts for the last month of my pregnancy and into the first few weeks after my due date as I can assume that I will be slightly busy bringing new life into the world at that time. Although I now can't walk as far as I'd like, I am using this large amount of free time to try to do some exploring of my local area that I haven't managed to do before now. The fact that we are currently staying with my parents in Devon and thus have access to a car is a bonus as well. But I would highly recommend trying to get out for a small walk everyday to get some air and get some cute nature pics for the insta (maybe even an outfit pic if I'm feeling super productive). My husband and I recently spent the day travelling all around Devon on an Explorer ticket which allows unlimited travel all day to anywhere in Devon. There's something quite exciting about jumping onto a bus to a random location. I didn't know this was even a thing before I saw someone use the term in a tweet so it must be. Apparently, it is a trip you take with your partner (or your squad) to enjoy your last few months of freedom before the baby arrives. This sounds like a perfect excuse to bully my husband into taking me away for a long weekend to a new city and spend the whole time ordering room service from the comfort of a huge marshmallow of a hotel bed. I'm not exactly sure at what point of the pregnancy you're meant to have a baby shower but maybe, if you've already had one, you could get away with organising another under the guise of calling it a gender reveal party. Either way, organise a fun get together for friends and family where you get a lot of presents and cake. I mean, you're pregnant, you deserve all the presents and cake that money can buy. What are your top tips for fighting maternity leave boredom? I know of a few people from work who are positively thrilled by the idea of maternity leave and then as soon as they go on it, they're a bit lost as to what they could be doing. Like you say, it's not like you quite have the same energy you would on a normal week of work but everything you've been doing or have got planned to do sounds great! My cousin recently went on a Babymoon - I'd never heard of them before either but she had an amazing time and was positively glowing! A huge marshmallow bed and room service also sounds perfect! All of these ideas sound wonderful! I was meant to finish work ten days before my due date and had so many plans for pampering, reading, cooking and general nesting. My wee boy had other plans and popped out the day I was meant to finish work!